In the default template of Magento 2.0, the Contact Us form is located in footer. 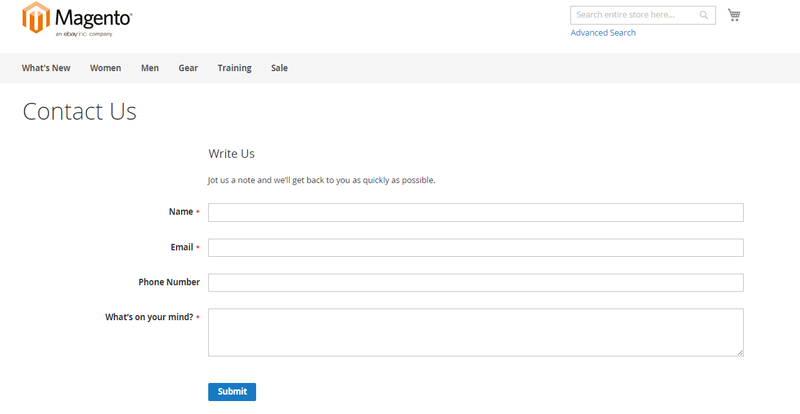 Here is a default “Contact Us” form of Magento 2.0. Select “Yes” to Enable Contact Us. Type the email of Addressee in “Send Emails To” field. After the addressee replies to this email, a customer will receive the reply from Email Sender (you can find out how to configure Email Sender in the previous article). In Email Template select in which format Addressee will receive an email from contact form.